First it was the Photo Friday challenge asking for mood and then came the WordPress weekly photo challenge asking for happy. So here you are: My “stooopid cats” as my children some people in my family like to call them. 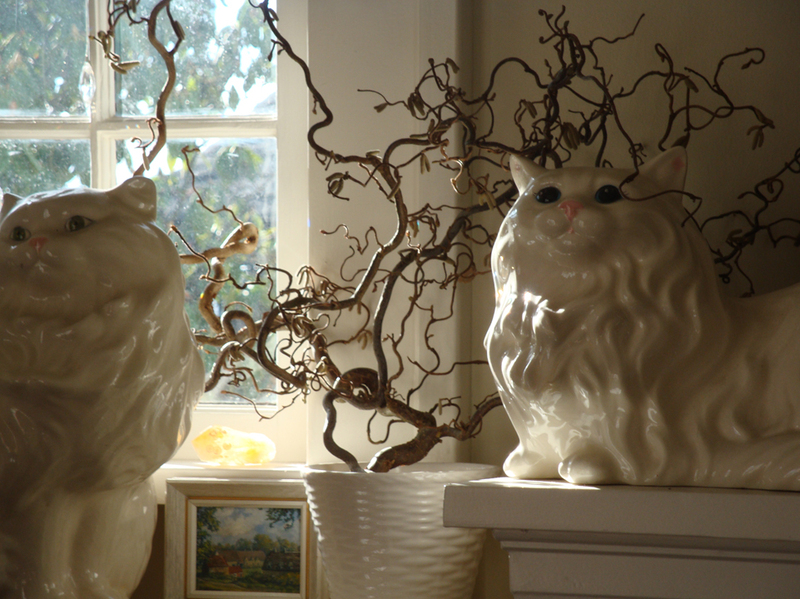 I started off with one of these Staffordshire cats – I think the one on the left – because it made me happy to look at it. Then I found another and I was perfectly happy with these two on the floor by the fire place for about 20 years. Then last year K called form a vintage shop to tell me of another one. I said “no”…it ended up here anyway. Then C’s boyfriend Bryson decided he’s going to find all the big white cats he can and now there are five. They come and go depending on my mood and if I need a change in the house, but overall they make me happy. And it makes me laugh to see my kids, (who are responsible for these stupid cats in the first place, remember? 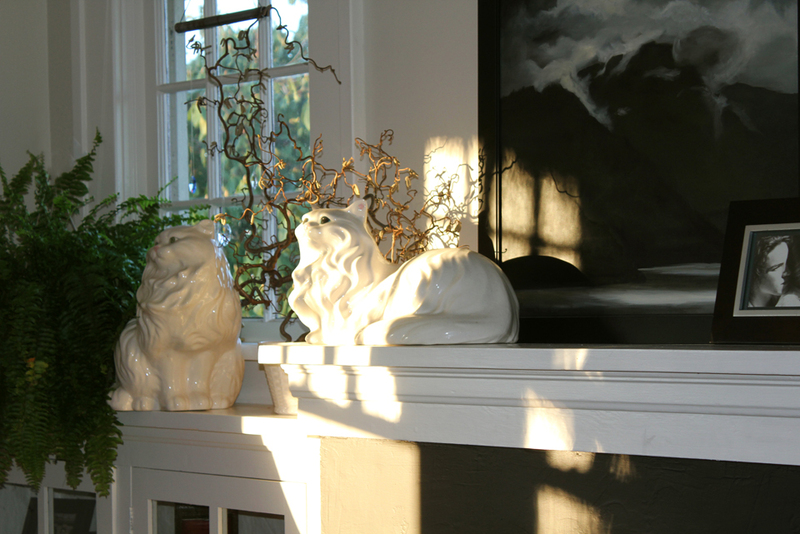 ), shake their heads at this little bit of fun kitsch in my exquisitely stylish life…ehm. It’s good to have things around that make you smile! And those cats would definitely do it. They are beautiful and if they make you happy that is what counts. Thanks for sharing. Love your cats! Lucky for you those don’t shed!